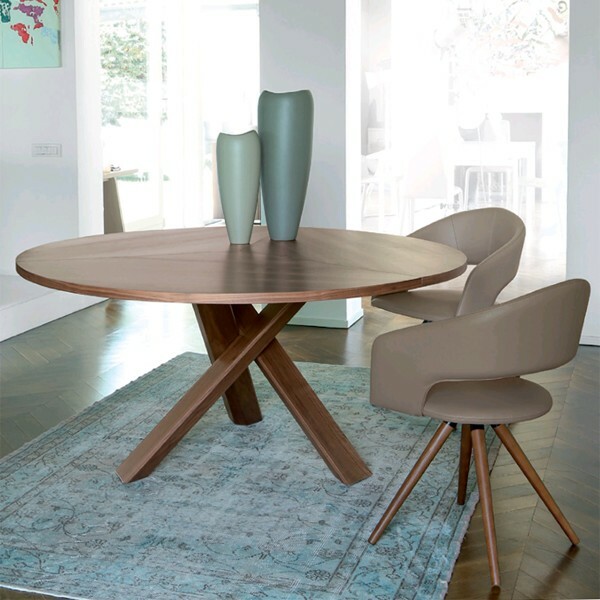 A stunningly beautiful, yet simple, round dining table. 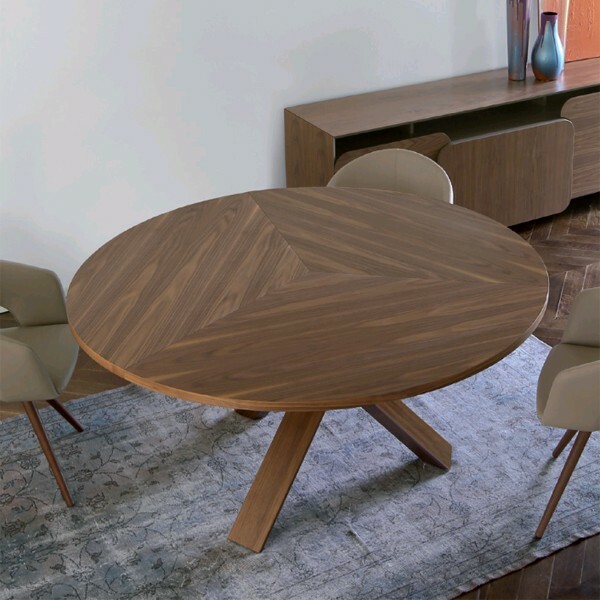 The top and legs are available in a selection of wood finishes. On the smaller 2 sizes the wood grain is straight, on the larger 2 sizes the grain is sectioned (as shown in the images). A glass top is also available, see related products below.